Information: Marjorie Crane Geary, author of books about Slavic dance. 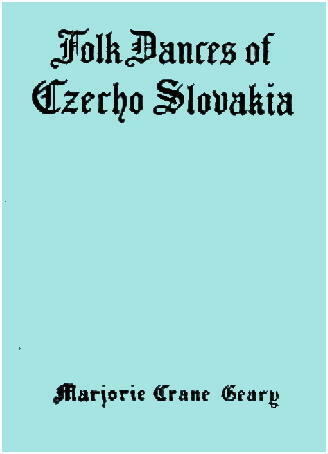 Folk Dances of Czecho Slovakia. Geary, M.C.. New York: Barnes, 1922. Slavic Folk-Dances. Geary, M.C.. New York: YWCA, 1924.